But here was the catch: In addition to the NIV, the book store had a whole shelf of different Bible translations. Today, the situation can be even more bewildering, with even more Bible translation choices available. Which one do I pick? The KJV has been the old reliable standard. But as a new believer trying to pay attention to the details of the Bible, I needed something that could get me past the awkward “thees” and “thous” of Elizabethan English. 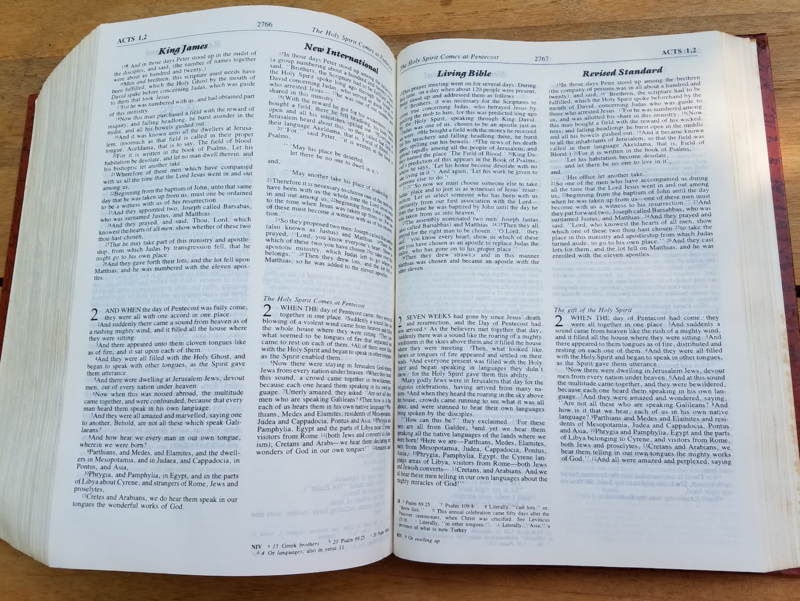 I finally settled on a big, honkin’ parallel translation; with the KJV, the NIV, the Living Bible, and the Revised Standard Version, side by side one another. It was huge and bulky, and it really stood out when I came to church (“Yo, check out that guy’s Bible!“). Plus, I could at least follow along when the Bible was being read at church. However, to my surprise, some of my KJV friends were not very impressed with my big honkin’ parallel translation. The Revised Standard Version was dismissed right off the bat as being too “liberal” (which as a high school kid, at that time, I had no clue what that meant). The Living Bible was a paraphrase, and not really a true Bible…. and the NIV? Well, it was just plain suspect. The NIV looked like a real Bible, on the outside, but what type of creepy compromises were inside of it? After a few of those “modern-translations-are-not-real-Bibles” comments, I shrank back into my little hole, and just left my big honkin’ parallel translation at home. Afterwards, when I got home from the preaching service, I would sneak a peak at my parallel translation, to try to fill in the missing pieces of the KJV message, that eluded me at church. That arrangement lasted a few weeks. The feeling that I needed to check my Bible at the church door, was really weird to me. I can understand if the airlines search you, in order to see if you are “packing heat,” before you board the plane. But having people look you over to make sure you only had the “authorized” Bible translation at church, was a bit too much. That church has long since disbanded. The pastor eventually left town. But as I look back on it, I now realize that this church was on track to becoming a “King James Only” church, if it was not one already. Today, thousands of small KJV-Only churches dot the American landscape. A fairly new one started up in my town just a few years ago (note the bold print on their website: We use only the King James Version). Not everyone in such churches go to the extreme of demonizing all modern Bible translations. The average KJV person probably would think of themselves as “KJV-Preferred,” as opposed to “KJV-Only.” They grew up with the KJV, so why change to something new? They simply are not sure if the newer Bible translations can be trusted. Studies show, that despite the endless plethora of modern Bible translations, available at Barnes and Noble, and everywhere online, the King James Version is still the most popular English translation of them all. In a 2014 study, some 55% percent of American Bible readers went for their KJV, with the closest competitor being 19%, for the NIV. In a newer 2017 study, the KJV slipped lower to 31%. 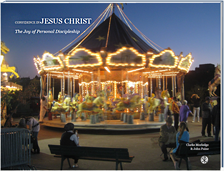 However, the NIV dropped to 13%, as the English Standard Version (ESV), the new kid in town, rose up to 9%. Still, the KJV is truly king. To their credit, my little “KJV-Only” church had given me a real desire to understand the Bible. Plus, I must commend that these folks were very bold in sharing their faith, through their “soul winning.” If only your average evangelical Christian could be as excited about sharing their faith as the KJV-Only crowd has been! I knew nothing about the controversy over “textual criticism,” back in high school…. Textus Receptus, Nestle-Aland, Alexandrian manuscripts…. Blah-blah-blah. I just wanted… the Bible! I did notice that some verses in modern translations of the New Testament were relegated to the footnotes, with curious explanations, like “some manuscripts include” and “the earliest manuscripts do not have verse x.” All I knew for sure was that the folks in my little “KJV-Only” church viewed modern translations with great skepticism.. Yet the whole “KJV-Only” thing then, just as it is today, strikes me as odd. I mean, the KJV is great because it really sounds like the Bible, when you hear it read. But why insist on a single Bible translation, that at times, can be so bloody difficult to read? This is why I am so glad that Mark Ward wrote this marvelous little book, Authorized: The Use & Misuse of the King James Bible. Now a biblical scholar, working with Logos Bible Software, Mark Ward grew up in a church that only used the KJV. The purpose of the book is not to explain why modern translations are better than the KJV, rehearsing the arguments in favor of the discipline of modern textual criticism, to try to get back to the original Scriptural text. Instead, Ward argues that we should not jettison the KJV, but rather supplement it with other modern translations, to help us better grasp the meaning of the text. In other words, it is fine to pick one primary version of the Bible to use on a normal basis. But do not limit yourself to just using that one version; whether it be the KJV, the ESV, the NIV, or anything else. “Thees” and “Thous” That Make the KJV Sound So Reverential.. Or Do They? Ward’s most powerful point to make is that a lot of times we may think the KJV is saying one thing, when in fact, it really means something quite different. Ward calls these translation problems “false friends.” Here is a good example. I am probably like most people who think that words like “thee,” “thy,” and “thou” are meant to show reverence. For that very reason, a lot of “KJV-Only” people think that the KJV sounds more like the Word of God, when compared to more modern translations. Thou, Lord, which knowest the hearts of men. This sounds very reverential, and holy, when it speaks of God, does it not? In the later editions of these translations, the New Revised Standard Version (1989) and the New American Standard Bible (1995), the word “thou” is dropped in favor of more modern pronouns. You, Lord, who know the hearts of all men (NASB). So, are the new, modern translators cheapening the Word of God, by making them sound less reverential? Surprisingly, Mark Ward shows that this thinking is actually wrong. In the 16th century, when the base text for the KJV New Testament was put together by William Tyndale, the English language treated the pronouns “thee,” “thy,” and “thou” as informal pronouns, as opposed to the more formal pronouns, like “you” and “yours.” The informal pronouns “thee,” “thy,” and “thou” were normally used for children or other social inferiors, or to mark either intimacy, or even contempt. The formal pronouns were used in all other cases. You find this distinction still today between informal and formal pronouns in languages, like Spanish, as in “tu” versus “usted.” , or like French, as in “tu” and “vous.” It is hard to believe now, but this distinction between the informal and formal existed in the 16th century in English! By the 17th century, not too long after the KJV was translated, those pronouns “thee,” “thy,” and “thou” largely fell out of common use, replaced by the formal “you” and “yours”, which themselves became more generic. That sort of destroys the whole idea of “thee,” “thy,” and “thou” as being more spiritual and godly, does it not? My old, trusty parallel Bible I got to help me navigate through the sermons in a “King-James-Only”-ish church. Please do not tell those folks I still have this contraband Bible!! Mark Ward has several dozen of these gems in Authorized. I really got the sense from Authorized that these “false friends” of the KJV do more to confuse the reader, than aid in proper understanding of God’s Word. But as Mark Ward says, this does not mean we need to get rid of our KJV (I still have my big, honkin’ parallel Bible!). Tampering with someone’s favorite Bible translation can be a very touchy issue. Even the folks behind modern translations have learned that lesson, as when the New International Version (NIV) sought to upgrade the popular 1984 translation in the late 1990s, in an effort to the promote gender accuracy in language! No one ever thinks about the updated “NIVI” or “TNIV” translations much any more, from twenty years ago. They have been superseded by newer works, like the NIV 2011, ESV, and the NLT (New Living Translation). Having a main Bible translation, that you read most of the time, like the KJV is perfectly fine. But do not neglect the vast wealth of other translations, that can help to illuminate difficult passages, or even correct misunderstandings in interpretation by simply sticking to a single translation. 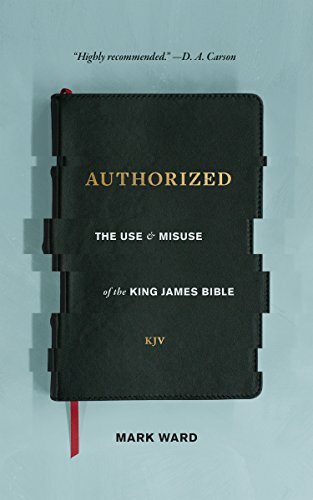 If you know someone who is pretty much stuck in a “KJV-Only” world, Mark Ward’s Authorized might really help to explain a lot, without getting bogged down in the technicalities of textual criticism, and the like. For that level of technical detail, Christians should consult either D. A. Carson’s The King James Version Debate: A Plea for Realism, or James R. White’s The King James Only Controversy: Can You Trust Modern Translations? The folks back in my old “KJV-Only” church surely meant well. They taught me a lot about having a love for the Bible. I miss that critical urgency to truly know God’s Word, that often gets passed over too lightly, in too many of our evangelical churches, in today’s world… and yes, I miss some of those potluck suppers! But sadly, my KJV friends themselves have been missing out on appreciating a greater depth of Bible study, by insisting on using their only one translation. Sure, there still will be folks who will not believe anything other than what comes out from Chick Tracts, or the wacky conspiracy theories promulgated by those like YouTube sensation, Pastor Steven Anderson. The English Standard Version, the “ESV,” that I normally use now, will always remain the “English Satanic Version” of the Bible to those people. All I can do is pray for them. But Mark Ward has a gentle way of expanding one’s view, for those who are open-minded. Here is a short interview with Mark Ward about the book. At 168 pages, the book is a short read, too. Do you think you understand the KJV? Take a quiz and find out! This entry was posted on Saturday, September 8th, 2018 at 7:00 pm	and tagged with bible translations, King James Version, King-James-Onlyism, kjv and posted in Topics. You can follow any responses to this entry through the RSS 2.0 feed. (1) The video blogger says that “thee-thou-thy” fell out of use, just after the time of Wycliffe, in the late 14th or early 15th century. However, as Ward points out, from the Oxford English Dictionary, it is more like the mid-16th when “thee-thou-thy” started to fade (Authorized: The Use and Misuse of the King James Bible, Kindle location 1503). So, this video blogger’s citing of sources is a bit fuzzy. (2) This is not an argument for ONLY using the KJV. If anything, it is an argument why the KJV should be used ALONGSIDE other modern translations, to help us to understand the distinction between singular and plural second person pronouns, a distinction lost in modern English. As it turns out, the informal/formal distinction between thou/you, etc. started to fade with William Tyndale, as Tyndale actually used the thou/you distinction, not for informal/formal distinction purposes, but rather for singular vs. plural pronoun purposes. This is a whole lot more interesting, nuanced, and accurate, than what the video blogger above is trying to say. I might put together a follow-post, to make this clearer.